Spot in La Cumbrecita. Image on Flickr by user José e Marina  (CC BY-NC 2.0). Can you imagine how it must be to live in an all pedestrian town where there are virtually no cars? Such a place does exist, and it's called La Cumbrecita  (The Little Peak). 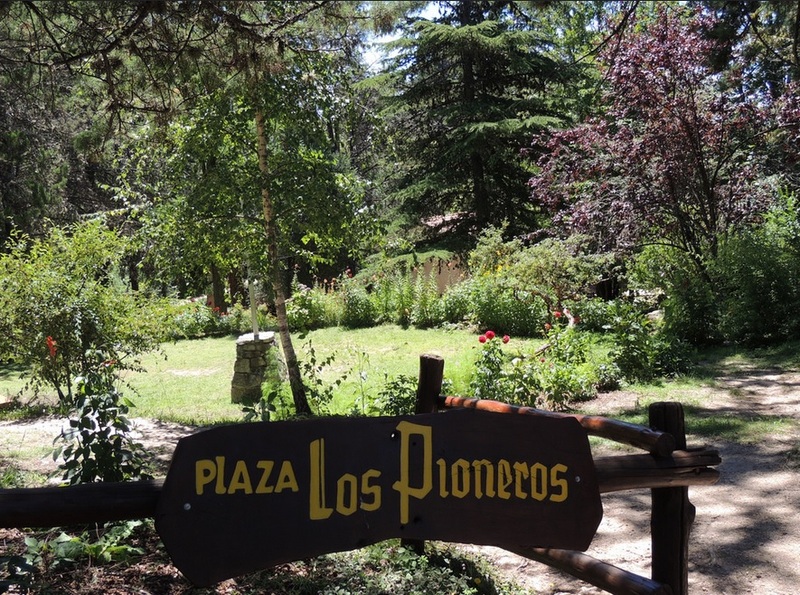 The small town is located just 120 kilometers (75 miles) from the Argentinian city of Córdoba , in Sierras Grandes in the province of Córdoba, and it has roughly 1,000 residents. Back in 1932, Dr. Helmut Cabjolsky went to Argentina from Germany together with his family. They were looking for a place to spend their vacations, so in 1934 he bought a 500-hectare land in the Córdoba mountains that had as geographical landmark: the so-called Cumbrecita hill. The first building [was meant to be used] as summer house for the Cabjolskys, but soon after it became a guest house for family friends. Years later, due to the increasing tourist interest in the place, the house started to operate as a small hostel. As the place's charm spread by word of mouth […] the possibility of La Cumbrecita, Córdoba, becoming a tourist destination wasn't our intention, but rather circumstantial. Today, La Cumbrecita, Córdoba, is one of the most attractive tourist places in the region. Every summer season its streets are always filled with national and international visitors. 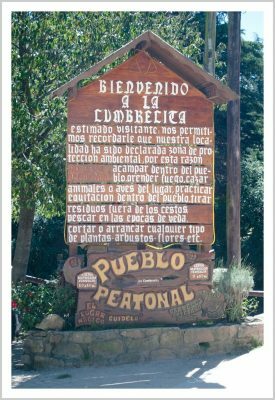 “Welcome to La Cumbrecita, pedestrian town”. Entrance of La Cumbrecita. Image on Flickr by user Juan Pedro Diez  (CC BY 2.0). One of the rules of La Cumbrecita is that from 10 a.m. to 6 p.m., streets are closed to automobiles . All vehicles must be parked at the town's entrance and tourists can only get in on foot. You go to any city's downtown, and it's all jammed up, due both to the number of cars and to the visual, environmental and noise pollution. Living in La Cumbrecita isn't easy. Being part of a nature reserve, zoning and building codes are very rigid: for instance, in order to keep the quietness and natural landscape, all lots must have at least 2,000 square meters (21,500 square feet). There ARE NO banks in La Cumbrecita, NO ATMs, and we DON'T have gas stations to pump fuel, so we recommend you anticipate those needs. La Cumbrecita is a pedestrian town, all internal circuits are designed to be followed on foot. It's important to wear APPROPRIATE SHOES to go from one place to another. […] having a GOOD COAT, SUNGLASSES and SUN PROTECTION is a must. After the journey, this is how La Cumbrecita, in Cordobese lands, welcomes us. Retro moment: me at age 10 in La Cumbrecita. On May 1st [Labor Day in many countries], I went to La Cumbrecita (Córdoba), and there I was told they were already needing a break from all the tourists they were receiving. I'd do anything to move to La Cumbrecita.